170 children are now sponsored through African Children Today. The Amazing Grace Bakery was built and is now selling an amazing amount of bread. Last week the bakery produced 1,668 2-pound loaves, 2,893 1-pound loaves and 17,094 buns. The bakery is run by the Hope Again Women's program and is now producing an income which will be used to pay fees for children who were previously unable to attend school. 275,000 meals from Feed My Starving Children were delivered to the children in Rakai. New products from the Hope Again Women have helped sales increase dramatically. Construction has begun on a new welding shop which will provide apprenticeships for sponsored children going into the building trade. 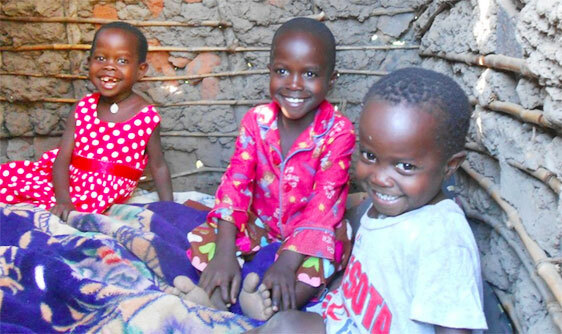 A huge milestone: $1 million has been sent to Rakai since the inception of ACT and RODI. These accomplishments would not be possible without the support of YOU! We are so grateful! Please take a moment to read Richard's thoughts as the year comes to a close. There is so much work still to be done. All of the administrative expenses of the RODI staff members - those in Rakai who care for the children and provide support and encouragement to the women - are raised separately from any sponsorships or designated gifts. Please consider a tax-deductible donation, sent to PO Box 390123, Edina, MN 55439. I would love to hear from each with you (and buy a cup of coffee for those of you in town!) to hear about your sponsorship experience and any thoughts or suggestions you might have to improve the work of ACT and RODI. Lives will be changed if we all work together. Blessing to you for a wonderful New Year!